Home / Taxation / GST / What is GST and How will it affect you ? 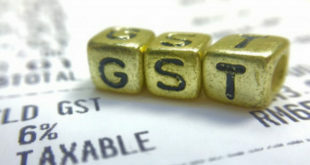 A constitutional amendment has been presented by Rajya Sabha in the form of the Goods and Services Tax (GST) in India. This was the most significant agenda of the Prime Minister Narendra Modi’s government to bring an economic reform in the country, which could be accepted for all and which could be accepted by all. GST has helped in reducing the direct and indirect taxes. The constitution had divided the power of taxation between the state and the centre. Both are the important levels of the government that have their exclusive areas to levy the taxes. The direct taxes were comprised of the Income tax, which is also considered as the exclusive domain of central government. Also See : What makes GST different from VAT and CST ? Indirect taxes were that taxes that were levied on the various levels of the manufacturing of the goods, system of the various services and consumption of the various goods. The taxes levied on the goods and services was the under the exclusive domain of the central government, where as the taxes on the consumption of the goods were mainly under the right of the state government. In the earlier tax system there were many barriers in the process of taxation. There were many indirect taxes that were levied, such as central excise on the manufacturers, value added tax (VAT) on the consumption of the goods. The prices of the goods used to increase on the final price due to the addition of these taxes. Since, the states had the exclusive rights on the consumption taxes, the goods coming from other states were considered as the ‘imports’, which gave rise to the central sales tax (CST). This was the reason that though India was one country, but due o the taxation system it had become fragmented. This had increased the costs for he everyone including the consumers. 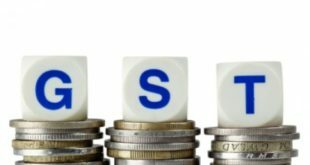 How does GST work and What are the Benefits of GST ? The Goods and Service Tax (GST) is an indirect tax reform that will help in removing all the tax barriers that were arising between the states and will help in creating a single market. The consumers in India had no idea that a huge amount of their money was being paid as taxes on the consumption of all goods and services. GST will benefit the consumers in the two important ways. The first benefit is that all he taxes will be collected only at the point of consumption, which means that if a product is taxed for 18% then that tax will include the taxes for state as well as for the central. This transparency will also deter the state governments to indiscriminately increasing the amount of tax in their states. The Second significant benefit of GST for the consumers is that the tax barriers between the states are removed. The consumer will not be required the taxes on taxes, which was happening in the tax system in the country. The final consumers will only have to bear GST by the last dealer. GST will be levied by the Central and State Government simultaneously for benefit of the Indians.